If searching for a cooking oil suitable for a low-cholesterol diet, don't assume that cold-pressed virgin olive oil is your only option. While olive oil is well-known to be heart healthy, there are others that are equally beneficial and may be even more appropriate for certain foods or food preparations. The rule of thumb is simple: diets high in omega-3 fats and monounsaturated fat can help lower your "bad" LDL cholesterol and raise your "good" HDL cholesterol. You will find these properties in avocado, canola, flaxseed, olive, peanut, sunflower and walnut oils. In addition to lowering LDL cholesterol, omega-3 and monounsaturated fats contain antioxidants which help reduce inflammation and prevent the formation of arterial plaque. Olive oil is widely considered to be the healthiest of all oils, especially extra-virgin varieties which are not overly processed. However, despite having no cholesterol and plenty of polyunsaturated fat help raise HDL levels, it does have its shortcomings. Chief among them is a far lower smoking point (391 degrees F) compared to other healthy oils. This means that it will not only burn faster and leave a rancid taste but break down many of its beneficial properties. Corn oil, which also is cholesterol-free, may seem an unlikely choice but is known to lower LDL nearly three times more than olive oil and remain stable at higher temperatures (440 F). On the downside, it is associated with LDL oxidation that may increase arterial inflammation. Avocado oil, another cholesterol-free option, has the highest smoking point (570 F) of all of the healthy oils. While flavorful, its distinctive taste may not be suitable for every dish. For a more neutral tasting option, try canola oil which is also cholesterol-free and has a medium smoke point (400 F). What this suggests is that the strategic use of oils—using some for sauteing and others for dressing salads—may help mitigate some of their less desirable properties. Hydrogenated oils are those that are processed for the sole purpose of prolonging their shelf life. Unfortunately, the process creates harmful trans fats which help raise unhealthy LDL and lower healthy HDL. Vegetable shortening is one prime example. As the name suggests, hydrogenation adds hydrogen atoms to chemical bonds that make up the structure of an oil. As the level of hydrogenation increases, so, too, does the viscosity and concentration of saturated fats. Saturated fats are those that solidify at higher temperatures and enhance the formation of fatty deposits in blood vessels. These are the very properties that make palm and hydrogenated coconut oil inherently unhealthy. Although refined coconut oil has grown in popularity due to its neutral taste and relatively high smoke point (450 F), it is especially potent in its ability to raise LDL levels. While palm oil may be slightly better with 50 percent saturated fat (compared to coconut oil's 85 percent), it still should be considered a no-no for those on a low-cholesterol diet. The double goes for palm kernel oil which also teeters near the 85 percent threshold. 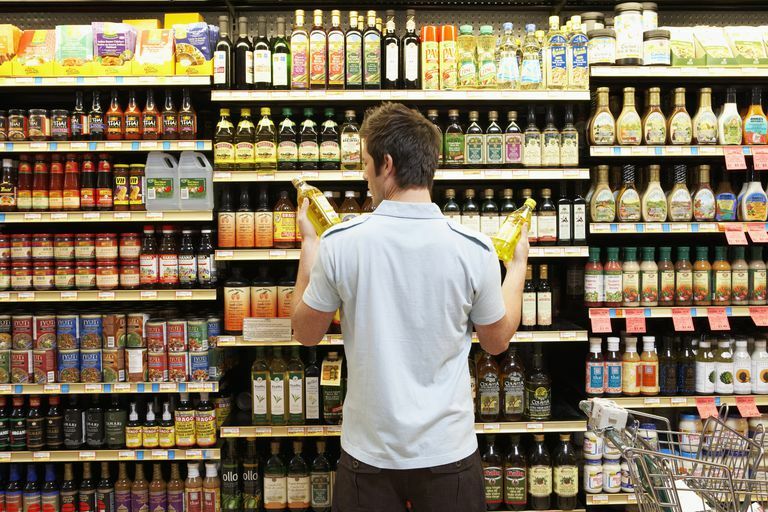 In addition to shopping for the right cooking oil, be sure to check the nutrition label of any packaged food you buy. Food manufacturers in the U.S. are required by law to list the amount and percentage of trans fat and saturated fat contained in their products. To avoid unhealthy trans fats, limit your consumption of fried foods (such as French fries and fried chicken) and baked goods (such as doughnuts, cakes, cookies, and pastries). De Souza, R.; Mente, A.; Maroleanu, A. et al. "Intake of saturated and trans unsaturated fatty acids and risk of all-cause mortality, cardiovascular disease, and type 2 diabetes: systematic review and meta-analysis of observational studies." BMJ. 2015; 351:h3978. DOI: 10.1136/bmj.h3978. Jones, P. and Rideout, T. "Lipids, sterols, and their metabolites." Ross, A. Caballero, B. Cousins, J. et al, eds. Modern Nutrition in Health and Disease (11th Edition). Baltimore, Maryland: Lippincott Williams & Wilkins; 2014. Can Fish and Omega-3 Fatty Acids Lower Cholesterol?